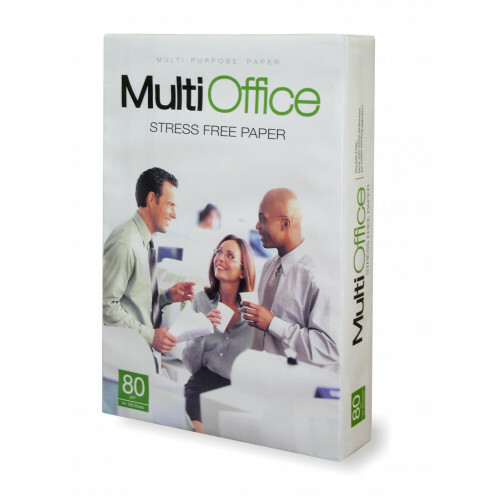 MULTIOFFICE’S MOST RATIONAL AND SUSTAINABLE SOLUTION, OFFERING HIGH LEVELS OF QUALITY, STIFFNESS, OPACITY AND WHITENESS, EVEN WHEN COMPARED TO COMPETING BRANDS’ 80 G.M-2 PAPER. RELIABILITY - The ideal paper for users looking for a very reliable, trouble-free and cost-efficient product for everyday copying and printing jobs, in colour or black and white. CONSISTENCY - Excellent productivity in document mass-production and the highest and most consistent quality in the office paper market. QUALITY - Perfect whiteness, high opacity and stiffness, high optimal aesthetics in its segment and very good runnability.